Interestingly enough, people walk and drive on Asphalt all their lives, yet never really look at it with interest until they have a pavement project on their property. 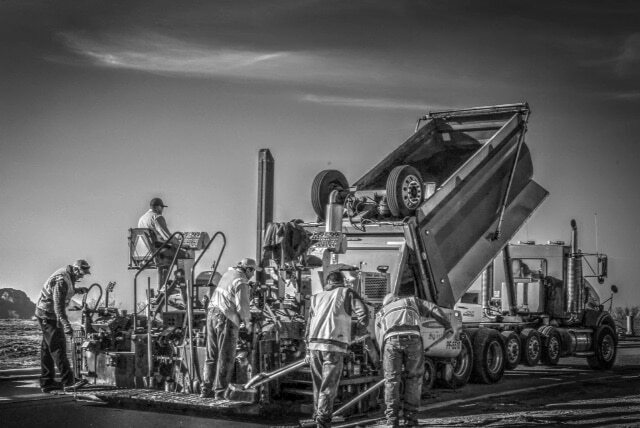 Asphalt is made up of various sizes of stone, sand, liquid asphalt, and other elements. Some areas will look smoother than others…some surface hairline cracks, scars, and surface ravellings are not unusual. It can take up to 12 months for the liquid asphalt in blacktop to harden and cure. You can walk on the surface immediately but it is recommended that you keep vehicular traffic off at least 12 hours or longer after paving during our hot summer months. Asphalt surfaces are flexible and as temperatures rise and fall you may notice the surface will harden and soften. This is normal, so on really hot days you may want to lightly spray water on the surface in the heat of the day to cool and help harden it. Don’t be alarmed if soap suds appear, this is a natural reaction between the asphalt and high chlorine levels in our water. Power steering marks and scuffing are common in new asphalt and newly seal coated surfaces. Try to avoid turning the wheel with the vehicle in a stationary position. Turning while stopped can cause the asphalt to move and scar the new surface. Try not to park in the same spot every time. Excessive weight from large vehicles can depress your new asphalt. Motorcycle and bicycle kick stands, lawn chairs, jack stands, car ramps and even high heels can create holes or depressions in your new asphalt. Excessive weight from the tongue of stored campers or boats can cause depressions. Placing a piece of plywood under the tires or jack will help prevent this problem. Spills from gasoline, oil, anti-freeze, power steering and transmission fluids can all cause damage to the asphalt surface. The inherent flexibility of asphalt allows rough areas and scars to heal themselves in time and under traffic, while larger tears can be touched up. Asphalt hardens as it ages and becomes much less likely to depress or scar. Once your asphalt has completely cured it is advisable to apply a sealer to your pavement. This process is called “seal coating”.